Standards-based assessment and feedback is a major focus for UNSW. A recent review of the Medicine program at UNSW by the Australian Medical Council highlighted the need to make standards explicit in large-scale assessment tasks. 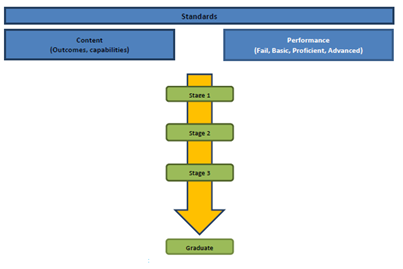 Although all Medicine assessment tasks relate to graduate capabilities, there are no defined performance standards for components of high-stakes assessment tasks relating to biomedical sciences disciplines. In alignment with UNSW Medicine’s strategic direction, this project will delineate developmental performance standards, based on attributes underlying knowledge in biomedical sciences disciplines. Those standards will inform assessment and feedback practice, and will initially be implemented for high-stakes assessments in Phase 1 of the Medicine program. This will enable personalised feedback with benchmarking against standards, as well as informing students of their growth over time in relation to each attribute. It is intended that this will serve as a model for Medicine, as well as for other disciplines at UNSW.